What's a genius inventor in the Old West supposed to do when they see outlaws and injustice taking over the town they love? Create an alternate persona based on their favorite dime novel hero & invent unique weapons/traps to fight them, of course! Lyria Grant moves with her father from Philadelphia to Two Moon, Texas. 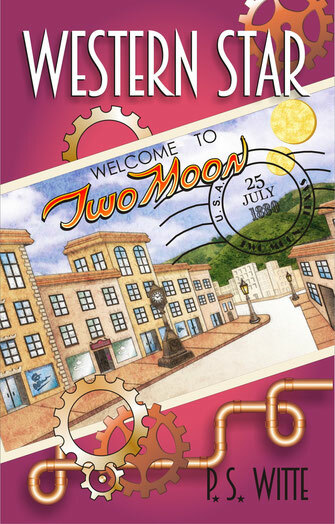 She quickly realizes that although Two Moon is progressive for an Old West town in the 1800's, it still has problems that she believes she can solve. Under the guise of The Western Star, she dispenses vigilante justice against those that the law can't or won't fight. I WANT TO GO TO TWO MOON! Explosions are common among the caves and mountains near Two Moon, but when a particularly large series of explosions occurs it makes the inhabitants wonder if their explorations have gone too far too soon. However, the unusual ores unearthed from the explosions soon pique the interest of more than one resident. Is the rumor of a mountain monster enough to keep them away? 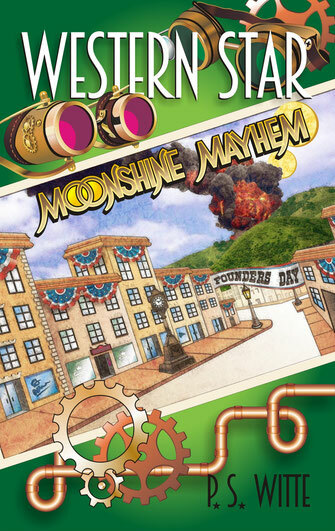 A gang of moonshiners trying to keep their less than legal activities secret hopes so. Dirigible fever has taken over Two Moon, Texas & even a Texas-sized tornado isn't enough to cool the residents' excitement. However, these amazing flying machines have now given outlaws another way to evade the law, & another reason for Lyria to continue her activities as The Western Star. Her alter ego is so popular, in fact, that it is the most popular costume for attendees of the town masquerade ball to wear! Will so many Western Stars in one place help or hurt the investigation of a mysterious new visitor? Our latest Western Star novel is the biggest and most action-packed yet! 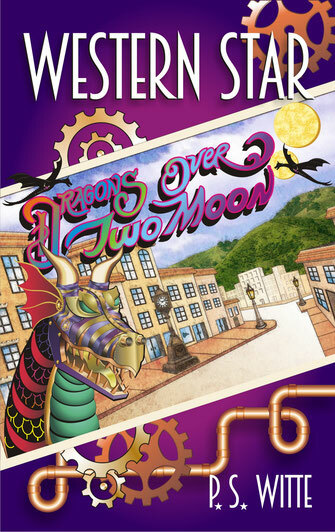 Dragons, battle-ready robotic animals, and secret spy devices are all included in this no-holds barred battle against those who want to protect Two Moon & those who want it destroyed. Not to mention a passenger fresh from the train station who may be able to answer once and for all if the Western Star actually exists. 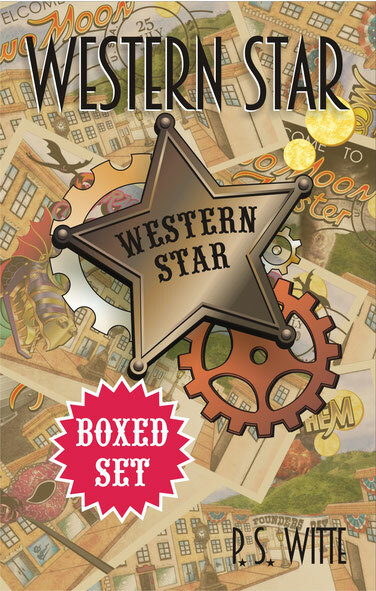 A nod to the dime store novels popularized in previous centuries, this short story is a classic western featuring The Western Star in one of his many adventures. Lily Lawless, a woman as deadly as she is beautiful, doesn't let the law get in the way of what she wants. 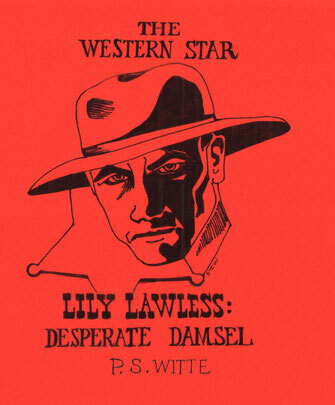 With her many disguises, she's been able to evade jail up to this point, but a reckoning may be headed her way once the Western Star begins following her trail. Twin teens Victor and Ivy Plotz live in the best house in the neighborhood, along with hundreds of animatronic undead roommates. 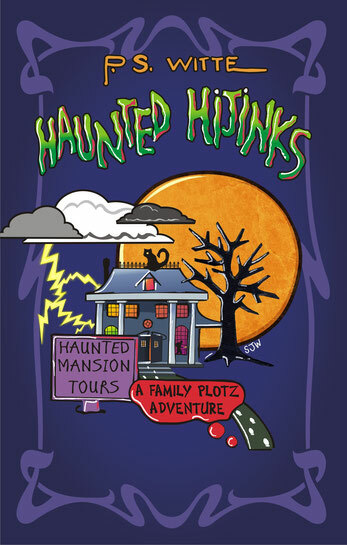 The year-round haunted house attraction has been their family business since before they were born & they know every nook and cranny, every mummy hand and alien slime trail. However, when a lightning storm causes the monsters to go rogue, it will take all their knowledge and skills to make it through the night. 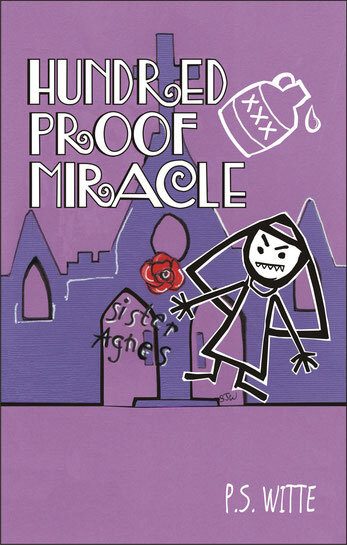 HOLY HOOTCH! TAKE ME THERE NOW! Indulge both your desire to binge-read & your desire to save at the same time! 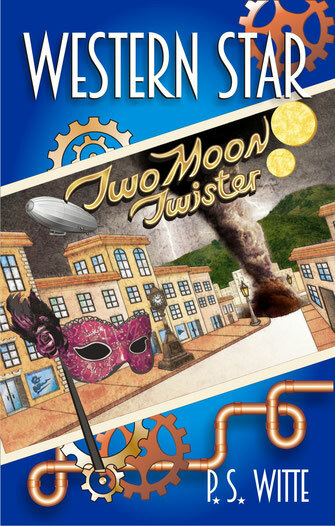 Get all the adventures from Two Moon, Texas in one convenient set! After finding herself committed to an insane asylum for killing her therapist's fiancée with a crossbow bolt in the middle of their wedding, Kit Renard begins to wonder if she hasn't perhaps made some unwise life decisions. Unfortunately, her second, third and fourth attempts at love don't go much better. At some point when the body count keeps rising, a normal person might ask herself, "Is it me?" However, Kit, ever the romantic, remains undaunted and determined to keep marching down the aisle, no matter how blood-soaked that aisle may get, until she finally achieves her Happily Ever After. Ashley is a museum tour guide who is excited because she's recently started seeing a young, attractive Emergency Room doctor. Unfortunately, it's because her date, Shad, keeps having bizarre accidents that end up needing medical attention. 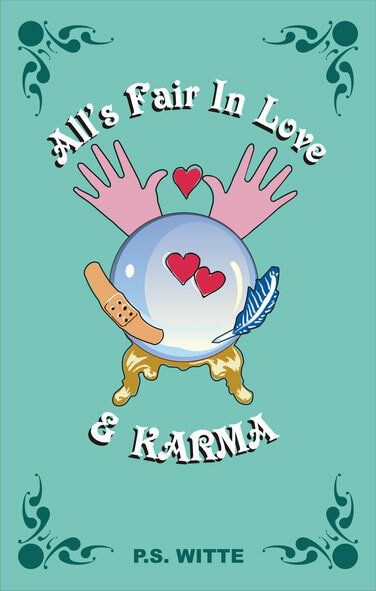 Her best friend, Samantha, runs a new age shop that offers traditional services such as psychic readings and tarot cards, as well as more secretive "aggressively karmic" acceleration opportunities. She keeps trying to set Ashley up with as many prospective dates as possible, sending gentleman clients Ashley's way under the pretense of "destiny". Shad takes this prophesy too much to heart, and refuses to give up on Ashley even while the universe itself seems to be telling him otherwise. Is the ER doc Ashley's true love? Is there real chemistry between them or just adrenaline from all the accidents? And how many more ER visits can Shad survive? THE UNIVERSE WANTS YOU TO HAVE THIS BOOK! Beyond The Flag is a heartfelt story of faith, friendship and reaching across continents to bring strangers closer. 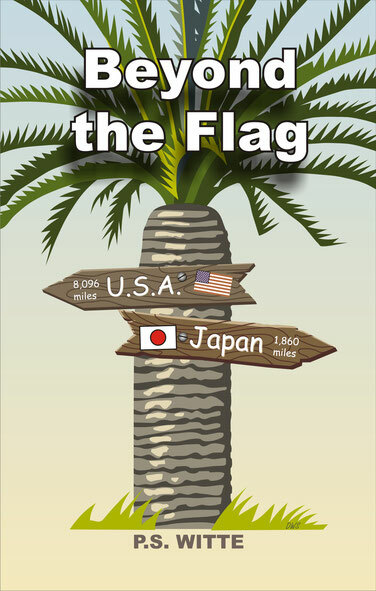 Set in WWII in the South Pacific, Master Sergeant Nick Masters finds a hidden Japanese flag while on base; concerned about profiteers as well as what could have been catastrophic consequences should the flag have been booby-trapped, he keeps the flag secret for decades until a rediscovers it and begins the journey to find the flag's rightful owner. A comically poignant narrative outlines the struggles of post-war veterans, clashing social environments and how cultures can be wildly different yet share the same core values. Although fiction, Beyond the Flag was inspired by real-life events and is lovingly dedicated to the memory of its main character. 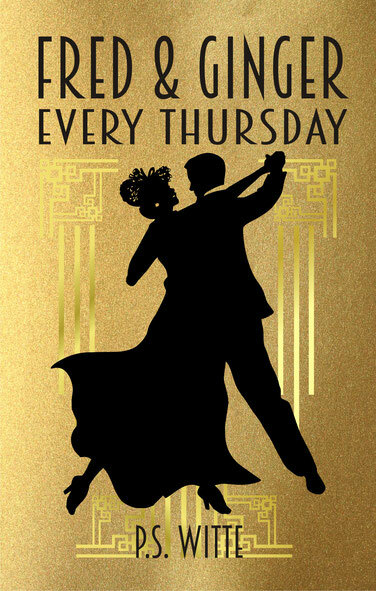 What do you do when you have to attend a 'dancing mandatory' event? Secretly take dancing lessons under an assumed name, of course. Fred and Ginger meet in just such a class, where anxiety over their respective looming events take an unexpected upswing. However, cover stories, mistaken identity, and a more than average jerk of a business partner start the pair off on a rollercoaster of a comedy, culminating in one of the most romantic endings involving raw sewage. Missy is tired of being a "fishing widow" and decides, against her husband's better judgement, to join him on his next fishing trip. 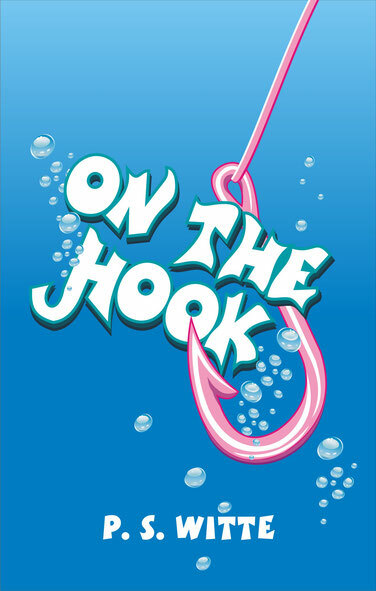 It might have been fine if there wasn't a huge fishing championship going on which may or may not have people cheating trying to win the title. Mistaken identity, smelly bait, and more than one inadvertent lake bath all lead up to the finale.